One solid piece of rock-solid ninja ferociousness! That's what you'll get with this full-tang fantasy samurai sword. 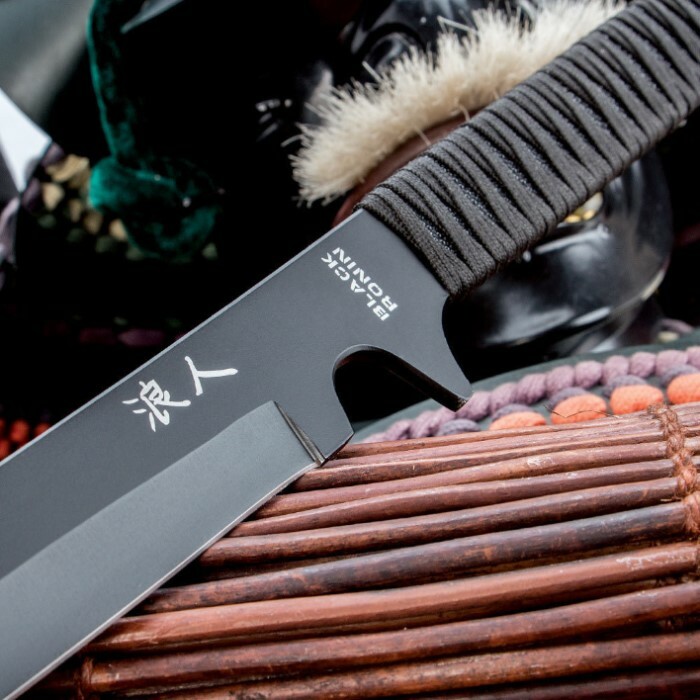 This sword features a fiercely sharp 18 in. edge with a wicked curve and a comfortable cord-wrapped handle. 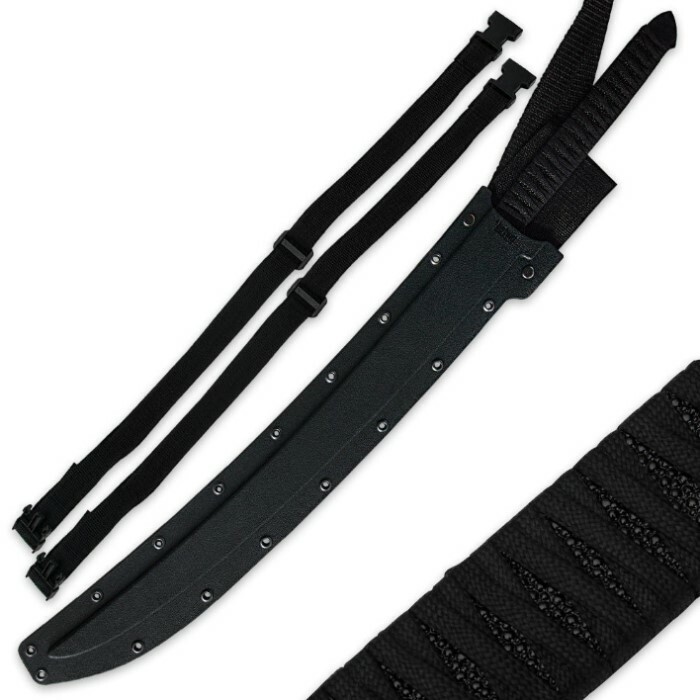 A multifunctional scabbard allows you to carry this sword in true ninja fashion in a variety of ways--on your belt, strapped to your leg or even over the shoulder. This sword is sweet! A perfect all black wakisashi. I rewrapped the handle of course using parachute cord and electrical tape. Now it's battle ready. I love the hard plastic sheath it comes with. And at 20 bucks, not bad. Thanks BudK! This is a nice weapon it is thick and sturdy and will take a lot of abuse would buy agen. 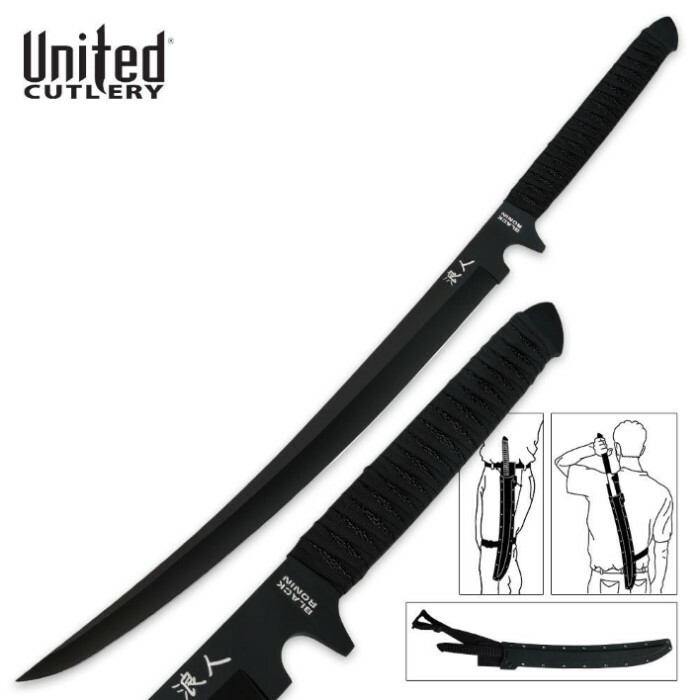 This short sword has a very nice design, absolutely love the sheath. However, it's as dull as a butter knife it literally can't cut paper, much less flesh. The handle was flat like the tang, but that was an easy fix. All I did was raise the grip with some sticks and bat tape, and now the grip is perfect. I'm going to have to pay a friend to properly sharpen this blade, that's my only real complaint. This sword works great! I never thought I'd win over the ladies until I got this sword. It cut straight through gallon jugs of water, paper up to stacks of 250 and other things around the house. I may be one of the most feared ninjas on my block as of now.